Trading Company as SMSF Trustee or Sole Purpose SMSF Trustee Company? Traditionally the majority of SMSFs steered away from using a company trustee due to the costs associated with it. This has been changing in the last decade as Trustees see the difficulty of adding or removing members or trustees from a fund. The process of replacing a director on the other hand is relatively simple. The Company is required to prepare and lodge an Annual Review with ASIC each year at a cost of approximately $318 per annum, and pay an ASIC lodgement fee of $263. 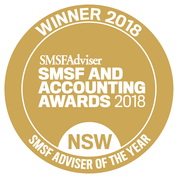 (The lodgement fee is reduced from $263 to $53 for companies who are used solely as SMSF Trustee companies commonly now known as a Sole Purpose SMSF Trustee Company). The problem is people still look to save on costs so occasionally clients ask if they can utilise an existing trading company to act as the SMSF Trustee, to save on “cost”. The strict answer is yes but just because you can do something, doesn’t mean you should. Using a company for multiple purposes is fraught with risk. You would have to be meticulous about keeping transactions and record keeping of the 2 functions absolutely accurate. then to the subject of liability. Trustees of funds are generally prohibited from borrowing but nevertheless liabilities can still arise. For example, a plumbing contractor engaged to repair a residential investment property might suffer an injury and can sue the trustee for damages. This could mean that if the SMSF does not have the funds to meet any damages, the assets of the business may now become a target for the lawyers of the victim. Again in time this could be sorted and true ownership proved but could you or your business afford the time arguing the case or funding the defence. I would also suggest a quick visit to your Adviser to put in place a new Trustee Company in charge of your fund or if you really feel you are going to be in trouble you might opt to become a Small APRA regulated fund where you hand over the running of the fund to an Approved Trustee but you may struggle to find one willing to take over in such circumstances. What are your thoughts? I would be interested in feedback from lawyers, accountants and advisers and of course auditors on this issue! 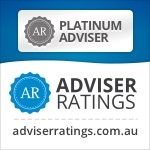 Seeking advice makes people proactive on super – SMSF clients even more so.